Manteau imperméable de 450D en polyester nailhead. Salopette imperméable de 450D en polyester nailhead. 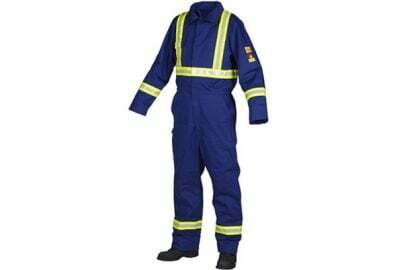 Cuir grain de vache grade A-B. 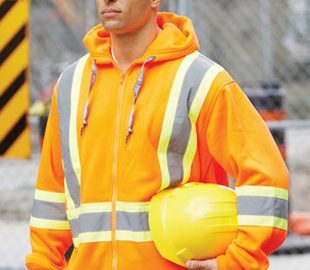 Dos en coton jaune rayé bleu. 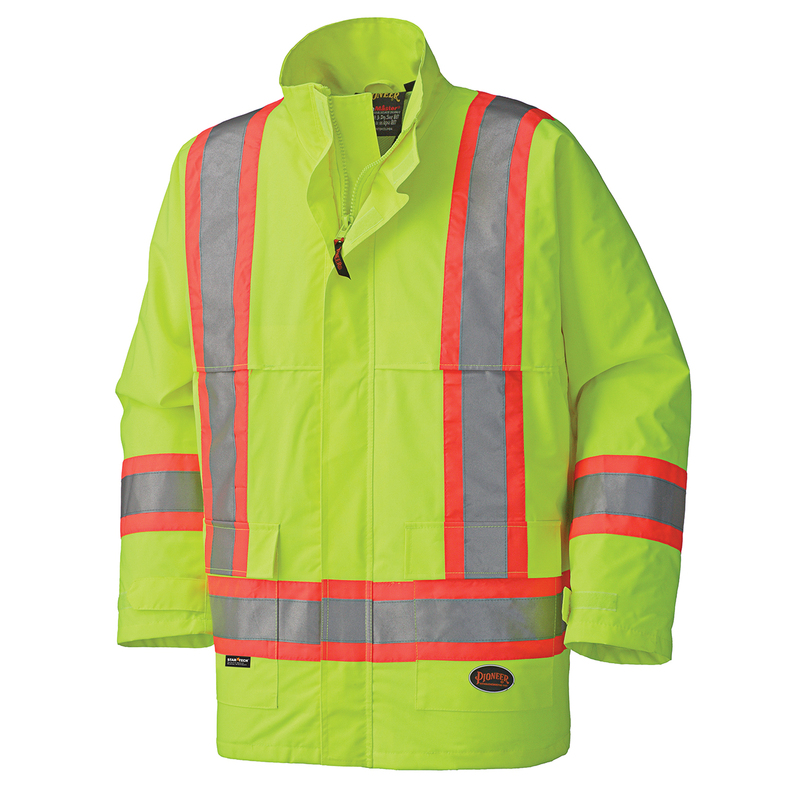 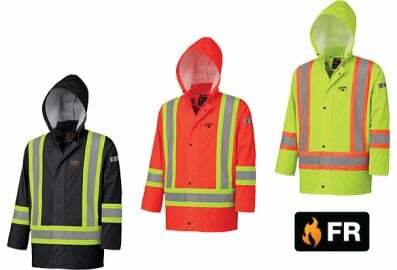 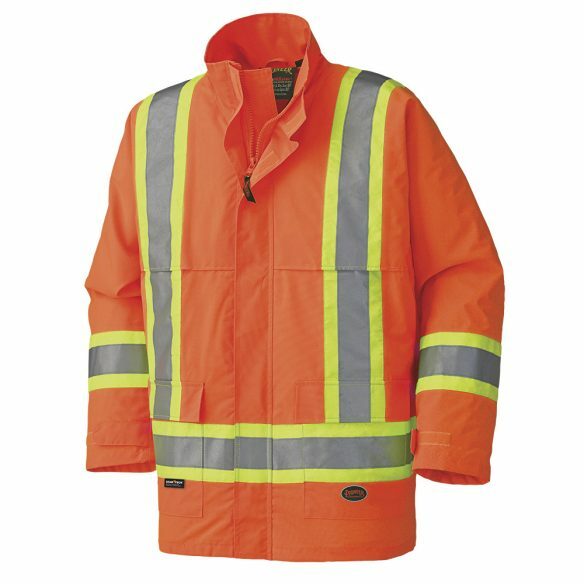 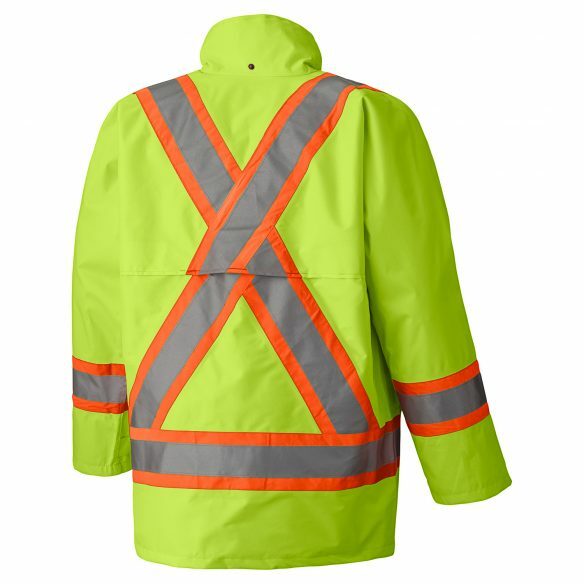 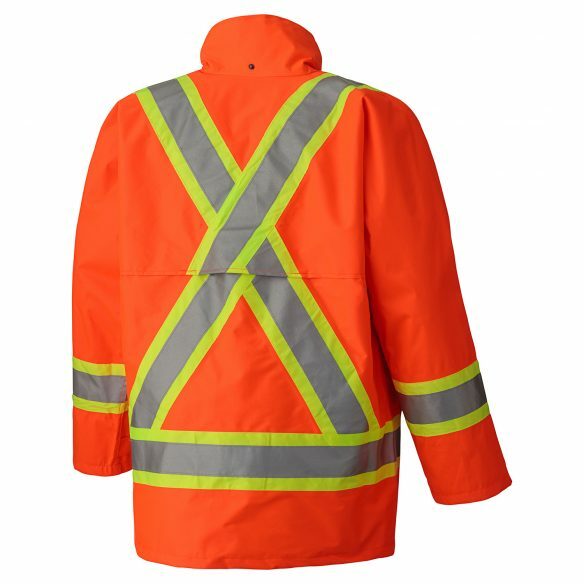 450D Hi-Viz Nailhead Polyester Waterproof Jacket. 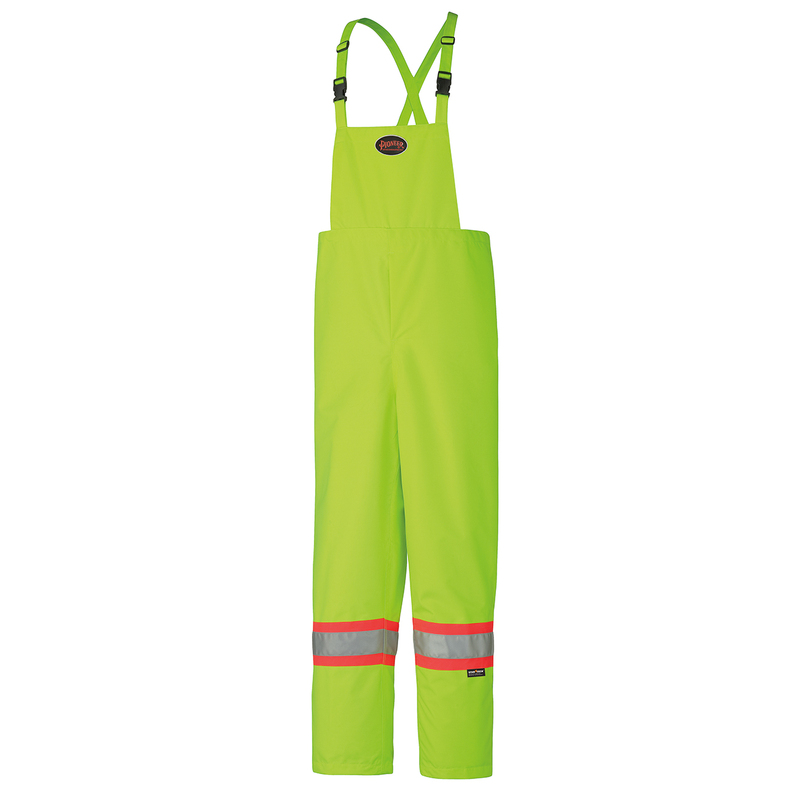 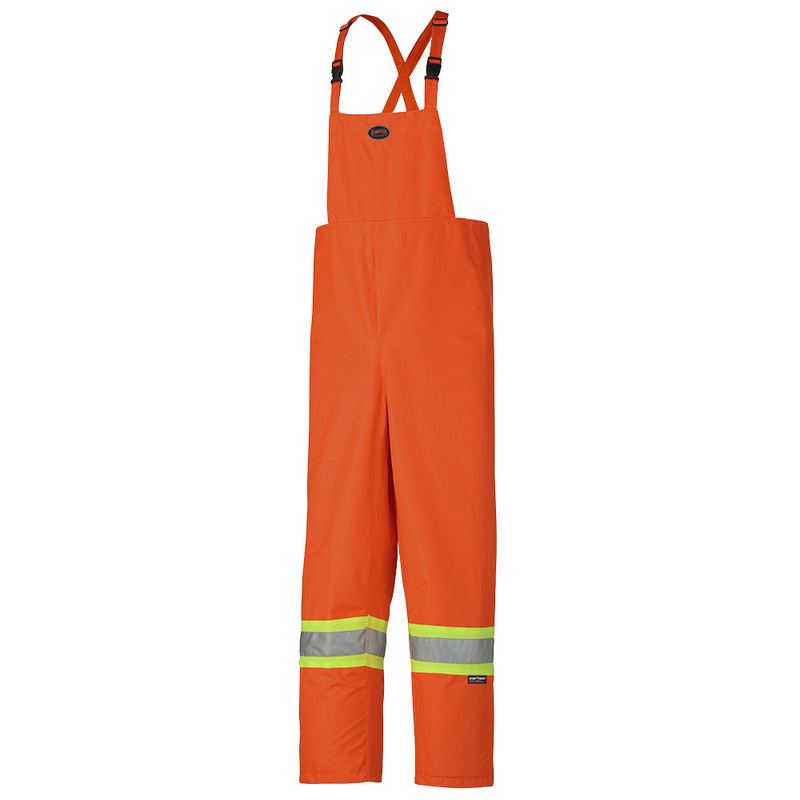 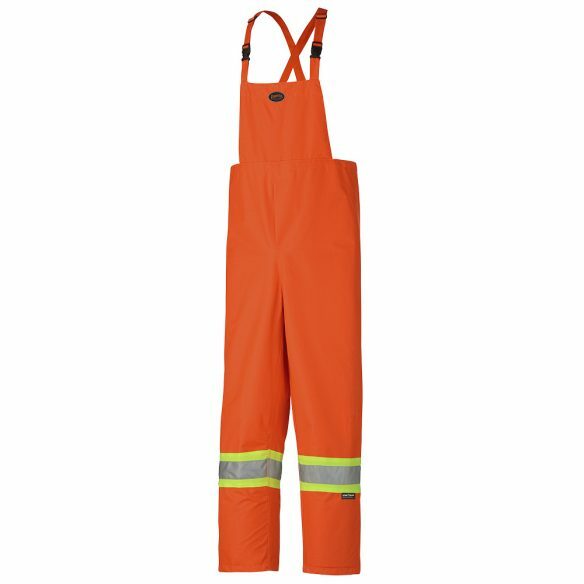 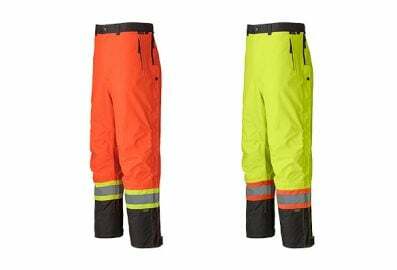 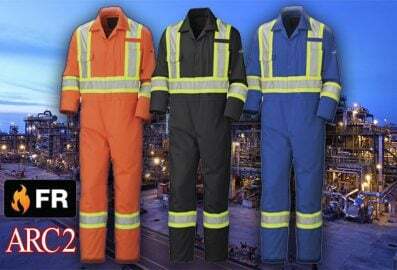 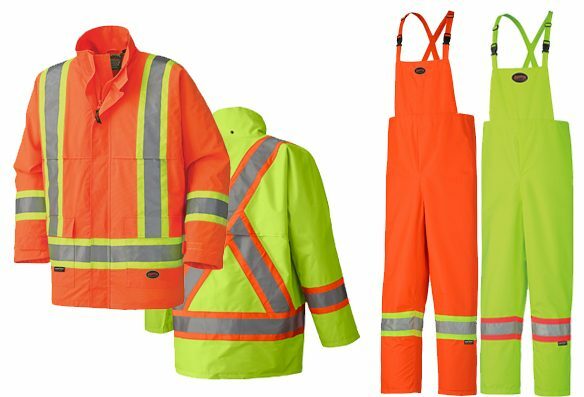 450D Hi-Viz Nailhead Polyester Waterproof Bib Pant. 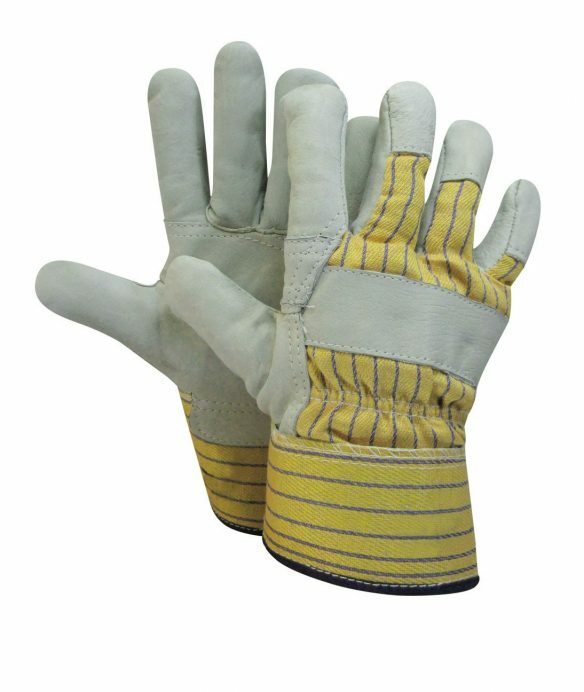 Cow grain leather A-B grade. 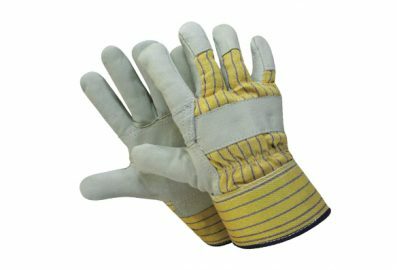 Yellow with blue stripes cotton back.